Comfort Inn Powell - Knoxville North is located in Powell, Tennessee and is less than one mile from Max Air Trampoline Park. 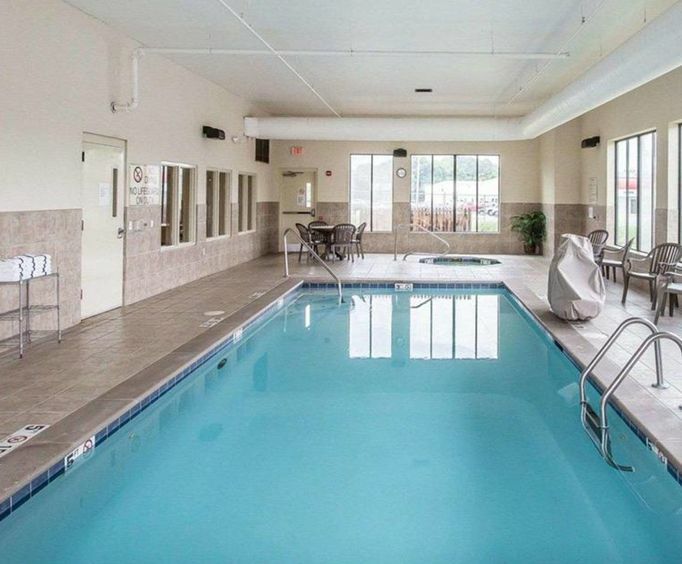 This smoke free property offers guests the use of an indoor pool, spa tub, fitness center, and a complimentary daily breakfast. Guests can enjoy touring the local attractions during their stay. This pet friendly hotel combines comfort and value all rolled into one. 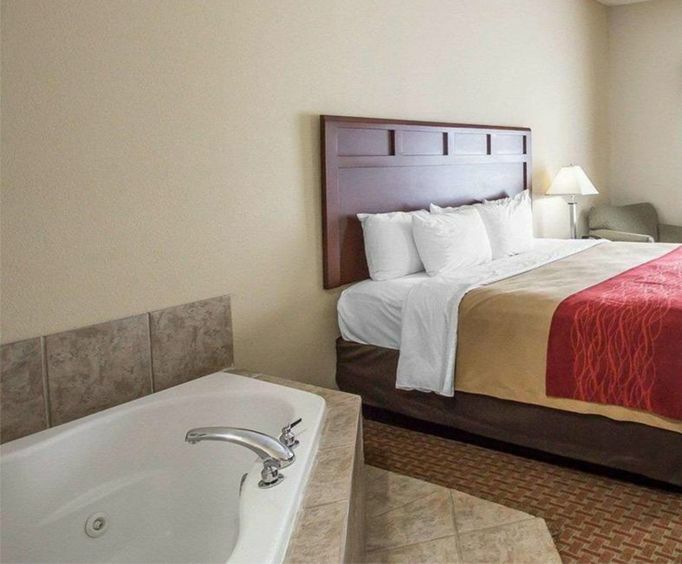 Guest rooms are clean, spacious, and very modern featuring a crystal clear flat-screen TV with cable, as well as a desk for guest convenience. Guests an use the complimentary business center to stay connected to work, friends, and family with an internet connected computer, fax machine, copy services and more. Start each day off right with a hot and fresh breakfast featuring eggs, meat, yogurt, fresh fruit, cereal, coffee, juice, and so much more! guests are treated to complimentary coffee and tea in common areas of the hotel where they can relax and watch television or read the complimentary newspapers for their convenience. The hotel features a 24-hour front desk, elevator, free self parking, laundry facilities, and free use of a nearby fitness facility. Guest rooms feature air conditioning, coffee/tea makers, desk, high speed internet, hair dryer, microwave, refrigerator, phone, iron, and ironing board. 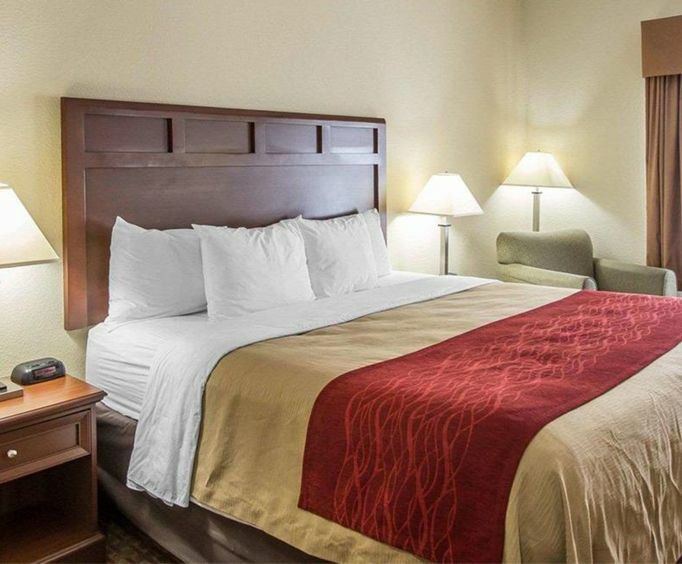 The hotel is located perfectly for guests to easily get around the city and hit the local attractions like Bounce USA, Sunshpere Tower, Knoxville Expo Center, and Players Club Paintball. When it comes to eating, there are numerous restaurants near the hotel including Chick-fil-A, Aubrey's Café, and Five Guys.